The art of discovering the happiness within. There is no doubt in my mind whatsoever that meditation can lead to happiness in real life. I know this because I am myself a rather extreme example. My baseline happiness used to be misery, which meant that when nothing was happening, I was miserable. It meant that if something good happened, I would feel happier for a while but then eventually return to misery. And it meant that despite the prosperity and recognition and other kinds of worldly success that came as I grew up, I wasn’t happy. In a couple of years after I started mind training, my baseline had shifted to jolly, which means that when nothing was happening, I was jolly. When I experience something painful, it’s painful, but I eventually return to being jolly. People used to assume that baseline happiness is unchangeable, but I am living proof that it can be moved from high negative to high positive with only a few years of practice. It is really about the training. In my Search Inside Yourself class, for example, the vast majority of participants did little or no meditation before the class, but after just a few days or weeks of meditation, many of them reported meaningful increases in happiness. 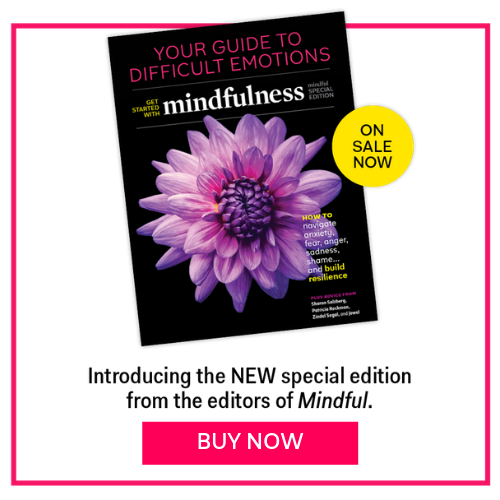 A 2003 study yields a similar finding, that just eight weeks of mindfulness training is enough to cause significant changes in the brain associated with increased happiness. These days, I recently realized, I almost never lose my sense of humor anymore. Archbishop Desmond Tutu once said, “If you want to become an agent of change, you have to remember to keep your sense of humor.” I agree: joy is an immensely powerful resource. There was a man who had a skin condition that made his skin itch all the time. Every time he scratched his itch, he felt good. Then one day, a skillful doctor cured him of his skin condition, and he didn’t have to scratch anymore. He realized that scratching his itch had felt good, but not having to scratch an itch at all feels even better. We have a mind condition that makes us itch for two types of pleasure: pleasure of the senses and pleasure of the ego. When our senses are pleasantly stimulated, as when we eat something tasty, or our ego is pleasantly stimulated, as when we are praised for something we did, we feel joy, which is good. What is even better is if we can feel joy independent of sense or ego pleasure. For example, when we are eating chocolate, we experience joy, and when we are just sitting there not eating chocolate, we still experience joy. In order to do this, we train the mind to access joy even when it is free from stimulation. This is also the secret of raising your happiness set point. To train the mind to access stimulus-free joy, we need to understand how joy arises independent of sensual stimulation and then cultivate those skills. They are three: easing, inclining, and uplifting. The first skill we need in support of joy on demand is resting the mind to put it into a state of ease. When the mind is at ease, joy becomes more accessible, so part of the practice is learning to access that joy in ease, and then in turn, using the joy to reinforce the ease. I call this easing into joy: being joyful at rest, no ego stroking or sensual pleasure required. Cultivating this form of inner joy begins to free us from overreliance on sense and ego stimulation for pleasure. This means joy becomes increasingly available anyplace, anytime. Next, we learn to notice joy and give it our full attention. We learn where to look in order to see and appreciate joy that is already available to us, in moments that we hadn’t noticed before. There is joy to be found in a calming breath and in the pleasures of ordinary activities. We invite this joy in. Inviting and noticing joy become part of our meditation practice as well as habits in everyday life. In time, with practice, the mind starts to get to know joy. It becomes familiar with joy like a close family member we can count on. The more the mind becomes familiar with joy, the more it perceives joy, inclines toward joy, and effortlessly creates the conditions conducive to joy. Here, we learn to uplift the mind with wholesome joy, especially joy arising from goodness, generosity, loving-kindness, and compassion. The wholesomeness of such joy benefits mental health the same way wholesome food benefits physical health. Such joy also leads the mind into a more stable, collected state because it doesn’t have to fight with anything like regret or envy. In turn, the stable, collected mind is more conducive to wholesome joy, thus establishing a virtuous cycle. With training in easing, inclining, and uplifting the mind comes the increasing ability to access joy on demand in most normal life circumstances (i.e., in the absence of overwhelming difficulties such as losing a livelihood or a loved one). Someone else I know experienced a change from doing one small practice in this book for a very short time. Janie had been unable to sleep well for many years. After practicing attending to the joy of loving-kindness for two minutes, that night she slept better than she had in years. Now she practices loving-kindness daily and has been sleeping better since. But wait, there’s more. The same mental equipment we use to train in uplifting our minds, inclining toward joy, and easing into joy gives us the strength and skills we need to deal with difficulties and emotional pain. I cannot promise that your life will be nothing but joyful in one breath or hours of training or by the time you reach the end of this book, but I can promise that whenever you can do these three things—easing, inclining, and uplifting—what appears to be painful will be less painful, what is neutral will become joyful, and what is joyful will become even more joyful. If you have been unhappy, or you are happy and aspire to be even happier, know that your happiness set point can be upgraded. I know because I did it and I have seen many others do it in the mind training program I taught at Google. I have also seen scientific studies that have measured it. Of course, Buddhist monks and other contemplative people have been doing it for thousands of years, but it’s not something in the water in the Himalayas—it’s something you can do too, wherever you are. The same mental equipment we use to train in uplifting our minds, inclining toward joy, and easing into joy gives us the strength and skills we need to deal with difficulties and emotional pain. You may well ask, if this kind of reliable and lasting joy is so accessible, why haven’t more people found it? Why does it seem so elusive? I think the main problem is most people aren’t aware that joy independent of sensual or ego stimulation is even possible. Or if we’ve heard of it, many of us think it is unattainable so we don’t even try. We don’t know it’s something that every single one of us can learn. Some believe you need a lot of money to experience joy, while others believe you can only find happiness if you give up everything and live in a hut in the woods. You might think you need to meditate for many years to access joy, but you can begin to experience benefits in one breath. If we think joy comes only from buying stuff, consuming stuff, becoming a sleazy tycoon, or running for president after becoming a sleazy tycoon, then joy will be elusive. In modern society, with modern technology, pleasure is more accessible than ever, all around us, on demand. Our lack of joy is certainly not for lack of ways to gratify our egos and senses. However, the joy that comes from these sources is inherently problematic since it depends on external factors out of our control. By contrast, joy that comes from within—from a peaceful mind as a result of taking a few breaths, joy from being kind toward others (which involves other people but does not depend on them), joy from our own generosity, joy from doing the right thing—all this joy is ours to have, independent of circumstances. If we do accidentally lose our joy, or something really bad happens and overwhelms us, there’s still joy in knowing we can get it back. We all have an infinite resource at our disposal, no matter how constrained or difficult our circumstances, and that resource is joy. Joy isn’t elusive when you know where and how to look.